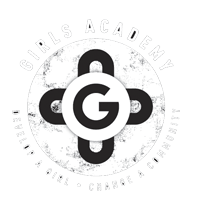 The Girls Academy Giving Circle is a vehicle for everyday giving for people who have not traditionally seen themselves as having the power to be a part of the important social change the Girls Academy seeks to achieve. The Giving Circle enables interested individuals to come together and pool their resources in order to raise additional funds to support the education of young Aboriginal and Torres Strait Islander girls via the Girls Academy Program. Some members of the Giving Circle contribute financially, while others volunteer their time and talent to the Girls Academy Program. All members believe that strong and educated women are critical to closing the unacceptable gap that exists between Aboriginal and non-Aboriginal Australians. Our various activities are directed at spreading the word about the program in order to raise additional funds for the Girls Academy. Membership of the Giving Circle is open to individuals, as well as small groups known as Mini Circles. Individual members who make an annual voluntary service donation of 25 hours. Mini Circles are small groups of up to six friends, family, or colleagues who join together with like-minded individuals to raise an annual contribution equivalent to the top annual membership donation of an individual member (i.e. $1,200). Once a group of interested individuals have formed a Mini Circle, they need to decide on a name for their Mini Circle and nominate a coordinator who will be responsible for gathering and paying the annual membership fee for the group, as well as being the primary contact person to the wider Girls Academy Giving Circle. All members of a Mini Circle will be registered individually on the Giving Circle’s membership list and will directly receive invitations and correspondence. Giving Circles throughout the world aim to combine philanthropy with social interaction. They encourage individuals from diverse backgrounds to come together to contribute to a common cause as they network and socialise with others. Have fun as you contribute and make a difference to young lives. The monies raised by the Giving Circle will be allocated to an annual grants program. Each year, individual Academies will be invited to nominate projects for funding and members of the Girls Academy Giving Circle will determine which projects are to be funded. To defray some of the costs associated with running the Giving Circle, $100 of every $1,200 raised by members goes towards administrative costs. If you and a group of friends would like to learn more about becoming involved in the Girls Academy Giving Circle, we would be happy to talk with your group at a time that works for you. Download a Membership Form or Join Us Now to complete your online membership application.